Putin: Russia To Upgrade Nuclear Forces In Response To West : The Two-Way The Russian president also accused the West of staging the crisis in Ukraine in order to "resuscitate" the NATO alliance. Russian President Vladimir Putin leaves the Life-giving Trinity church in Moscow, on Wednesday. 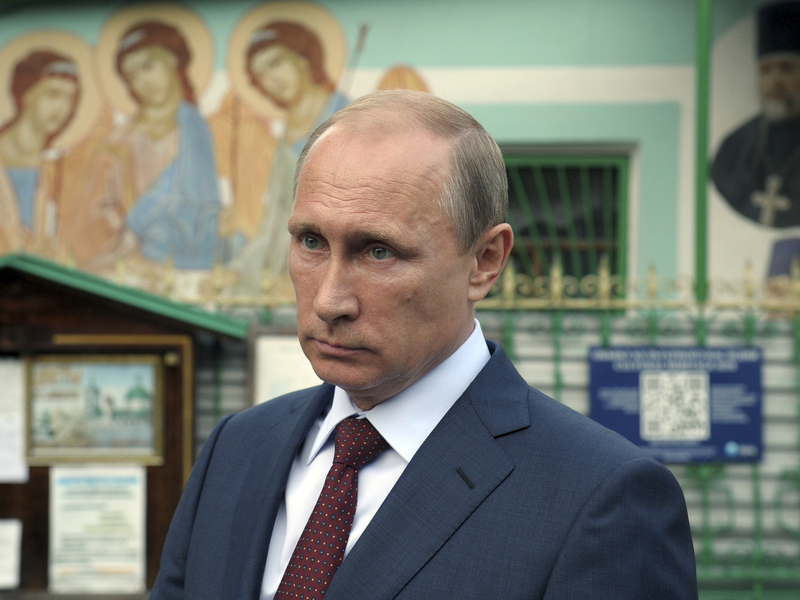 Putin accused NATO of using the Ukraine crisis to "resuscitate itself." Vladmir Putin, whose annexation of Crimea and involvement in the conflict in eastern Ukraine have drawn plenty of comparisons in the West to his Cold War predecessors, is not going to calm any nerves with his latest pronouncement: Russia has begun development of new nuclear weapons. Speaking at a Kremlin meeting on weapons modernization plans, Russia's president said the West had been "warned many times that we would have to take corresponding countermeasures to ensure our security" in light of U.S. missile defense plans. "We have warned many times that we would have to take corresponding countermeasures to ensure our security," Putin said. He also signed a decree giving him direct control over Russia's arms industry. As part of a weapons modernization program for 2016-2025, Moscow should focus on building a "guaranteed nuclear deterrent," Putin said. That includes, according to The Associated Press, "re-arming strategic and long-range aviation, creating an aerospace defense system and developing high-precision conventional weapons." At the same time, Putin suggested that it's the United States that wants "unleash" an arms race. "We, of course, are not going to be involved in this race," the Russian president was quoted by RT as telling with senior defense industry officials. Putin also accused the West of staging the crisis in Ukraine to "resuscitate" NATO.